When I think of oatmeal, I picture something really easy and super quick to put together in the morning, ready to fuel you for the rest of your day. 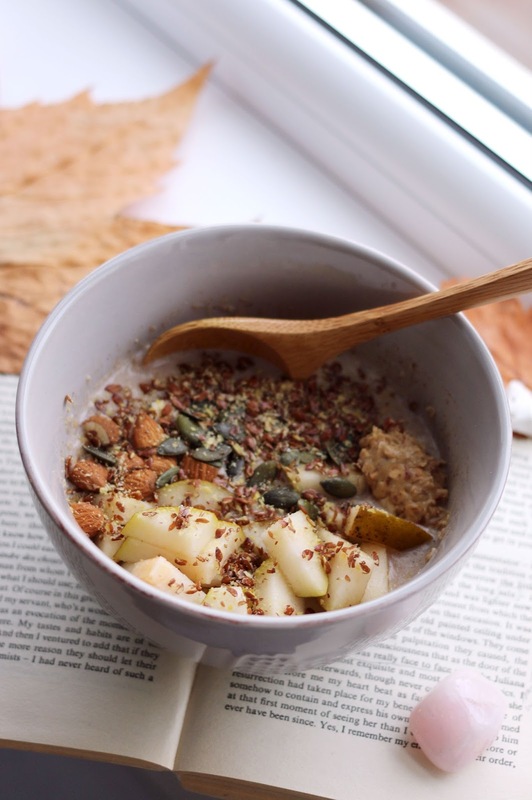 I have noticed, however, that very often people are reluctant to the idea of having oats for breakfast every morning. Even worse, they hate the idea of oats or porridge altogether! As a thorough oatmeal addict, I just had to share my favorite recipe with you in order to clear up the misunderstanding. If you have a microwave, an open mind and three minutes time, then let's get cooking/microwaving! PS: I have included photos of different combinations, in case you needed even more inspiration to get your oatmeal-journey started. Add the oats to a microwaveable bowl and mix in the cinnamon and raisins, then pour your preferred plant milk into the mixture. Microwave the oats for 1 minute (I always do this on 900W), stir, then heat for another minute. 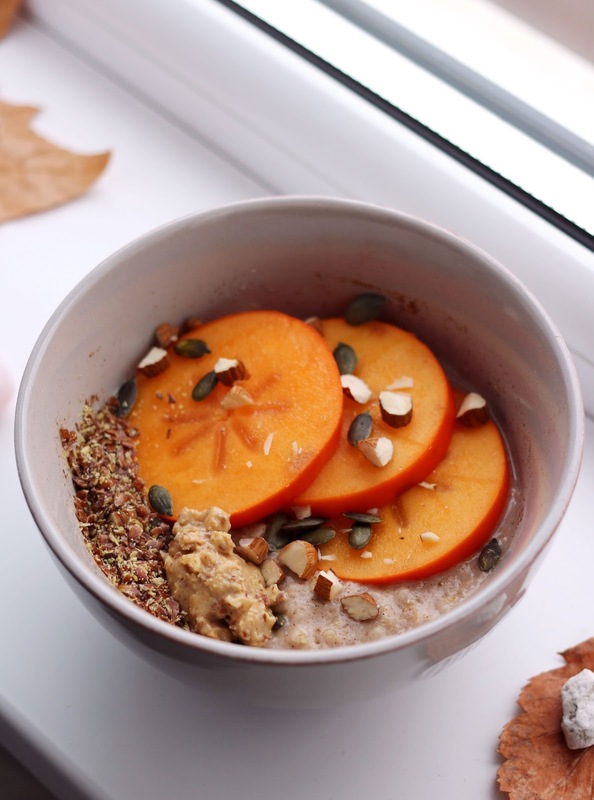 While your oats are cooking, you can slice the persimmon and cut the almonds into smaller pieces. 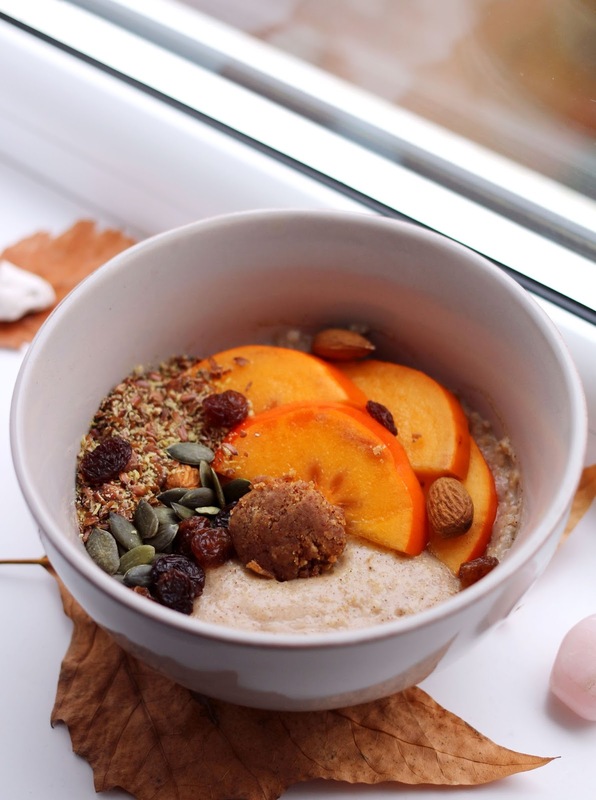 Once the oats have been thoroughly cooked and they're feeling all warm and cozy, you can start to assemble your porridge. This is optional, but if you fancy 'runnier' oats, add in more plant milk. 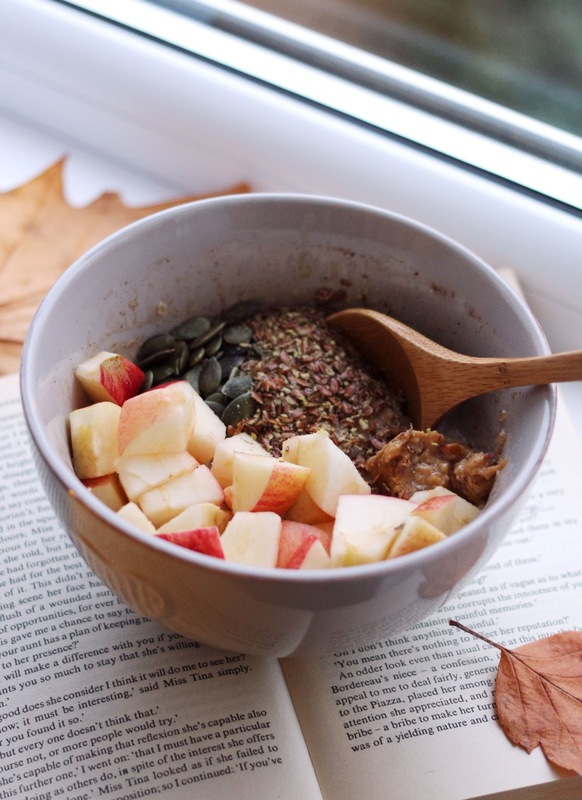 Add the almonds, the peanut butter, pumpkin- and flaxseeds (these both contain necessary Omega 3 fatty acids) and lastly, your tasty persimmon. And that's it! Once you get used to this process, it takes only three minutes to assemble your own delicious oatmeal on gloomy, rainy mornings. Happy breakf(e)asting!